Use competitor streams in HubSpot's social monitoring tool to keep track of your competitors' top posts across Facebook, Instagram, and Twitter. Please note: competitor streams are only available for Marketing Hub Enterprise accounts. In the left sidebar menu, click Create stream under Competitor Streams. In the right pane, click Add competitor and enter the competitor's website URL into the text field, then click Save. Posts from this competitor’s Facebook, Instagram, and Twitter accounts will be added to your competitor streams. Add up to two additional competitors by clicking Add competitor again. Once you’ve added your competitor(s), click the X at the top right to return to your streams. After adding competitors to your competitor streams, you can compare and contrast the top posts across all of your competitors, or filter by individual competitors. In the left sidebar menu, click All Competitors to see posts from all of your competitors, or click the name of a competitor to filter for posts by that competitor. Use the filters at the top left to filter your competitor stream by social network or time period. Social posts in your competitor stream are sorted by publish date by default. 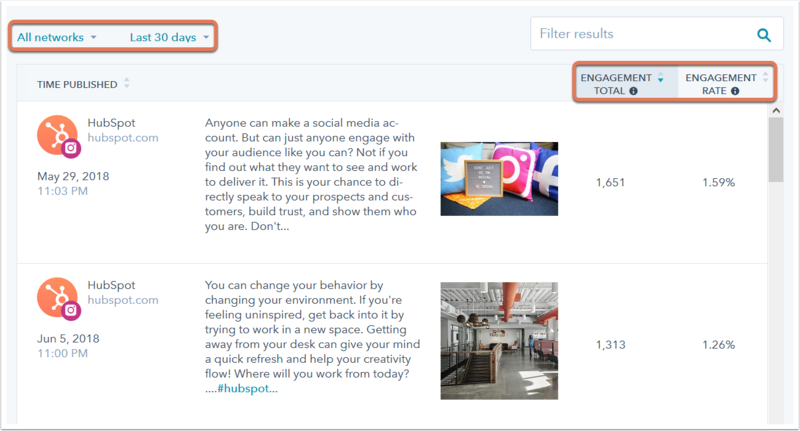 Click the Engagement Totals column header to sort posts by the total number of interactions, or the Engagement Rate column header to sort posts by a percentage of the number of post interactions divided by the number of followers for the account. If it's likely that a competitor has paid to spread a particular post beyond their organic social following, $ Likely boosted will appear below the post content. 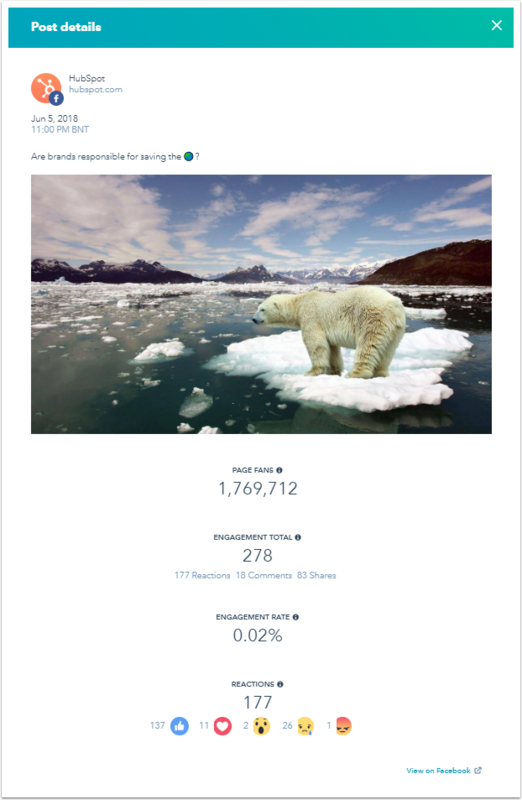 Click into any social post to view the full post content, post image, and a breakdown of the post engagements. Learn more about how to use competitive social analytics to refine your social strategy, drive more leads, and win more customers on the HubSpot User Blog.